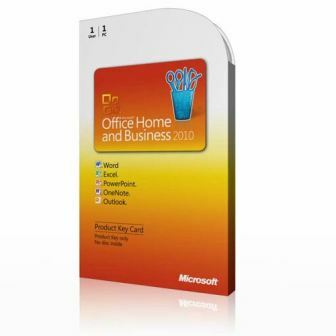 Get your copy of Office 2010 Home and Business Product Key Card, with discounted price, for new PC preloaded with Microsoft Office 2010 from NewEgg via this page. This product key card is original and 100% legitimate. Microsoft Office Home and Business 2010 brings together the roles of managing a business, running a household and helping with homework. Get the benefits of all the programs you need to be productive including Microsoft Outlook 2010 — so you can tackle your busy day efficiently with powerful email, scheduling and social networking tools to keep your life and work in sync. For use on 1 PC. No Disc. Download available. Not transferable. Enjoy flexibility — now you can easily post your Office documents online and access, share and edit them with Office Web Apps. It’s an ideal way to extend your Office 2010 experience to the Web. Work together — brainstorm ideas, share notes and work on documents with others simultaneously thanks to the new co-authoring tool in Word, PowerPoint and OneNote. Find it on new Backstage view — replaces the traditional File menu to give you one go-to spot to conveniently save, open and print documents. Customize the tab commands to fit your individual needs so you can navigate tasks effortlessly. 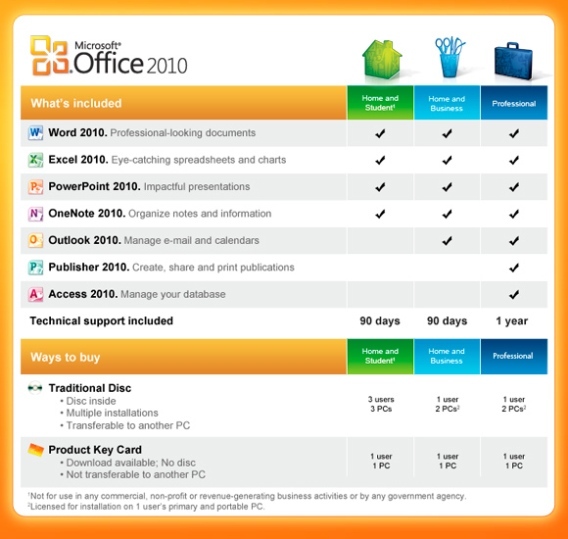 Programs you rely on — Microsoft Office 2010 is an industry standard offering our latest, innovative tools to make your documents richer and more informative. Home and Business includes 2010 versions of Word, Excel, PowerPoint, OneNote and Outlook.